Some business owners believe that their relationship with a vendor ends after an invoice is paid. 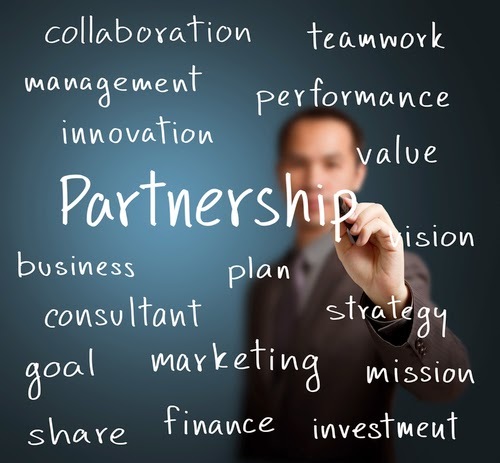 Other business owners recognize the value of integral vendors and partner with them for mutual benefit. But how can you tell when a vendor will make a good partner? Here are six signs. 1. Interested in your success. If your vendor indicates a genuine interest in the condition of your business or industry, it’s clear that he or she recognizes the importance of your ongoing success beyond the value of a pending contract or project. Vendors who work with their customers to make business more affordable understand the challenges businesses face. Savvy vendors may offer discounts for early payment of invoices, quantity discounts, or may suggest other options for less expensive materials or services. Loyal vendors engaged in serving your industry can be excellent sources of confirmed competitive intelligence. Chances are good that you work directly with a vendor’s salesperson, an account manager or a representative. Good reps will go to the mat for you when it comes to a pressing deadline, a quality issue, pricing, or other concerns. 5. Brokers relationships with others. Good vendors recognize and suggest when your business would benefit from an introduction to another vendor, an industry colleague or a possible strategic partner. 6. Continually earns you business. A vendor who deserves your business continually earns it. He or she remains in touch, understands your schedule and your concerns, and responds to your inquiries. In short, vendors who want to partner with you make clear that they are engaged in business with you for the long haul, not for short-term gains. via wpengine.com - Having trouble viewing this? Click here. If your B2B firm is like other organizations, you periodically re-evaluate whether or not specific arrangements and initiatives are working for your business. And chances are good that your marketing is on that list. But before you discount the use of an outside agency – with excuses like “We have an in-house department” or “We have an IT guy that can re-design our website”, or “Our sales department is doing a great job without a dedicated program” – take a moment to consider that even the largest B2B corporations work with external MarCom firms from time to time. 1. Creative that resonates with your target audience. I know, you think that’s counterintuitive, since no one knows your customer better than you. That may be true, but your close proximity to the subject limits your objectivity, and consequently, your messaging. So while an agency will depend on your guidance, they’ll bring a fresh perspective on creative ideas. Outside opinions are always worth considering, even if they are declined. 2. Development of professional branding and marketing materials. Your business productivity should be second to nothing on your to-do list. So why slow it down with marketing if it’s not in your skill set? Sure, it’s fun to choose logo colors, or to help write website copy. And it probably would be fun to replace your car engine too, but your mechanic might suggest you let him take that project on. A good agency team knows when input is needed to fill in the blanks or help make decisions, and they won’t hesitate to call on the right client contact. 3. Experience with the right tools. An outside marketing agency has one job: to market others effectively and favorably. The marketing tools needed for projects do change over time – a trend that fatigues all in-house marketing departments. An outside agency will keep pace with contemporary digital tools and suggest ideas that maximize exposure, increase efficiency, reduce costs, and the like. And when it comes to updated software and hardware – crucial tools of the trade – reputable outside agencies must keep pace in order to create high quality work, and to remain compliant with industry standards. 4. Your in-house marketing team needs help! There may be projects in your company that are low priority, or could take a longer period of time, or might require outside assistance. These are the best ways to utilize an outside agency, while your in-house team manages more crucial tasks. 5. Access to staff with variable disciplines. Full service agency teams have a range of professional creative staff members who can assist with diverse marketing projects, including website or print design, social media, video production, copywriting, media skills, and more. 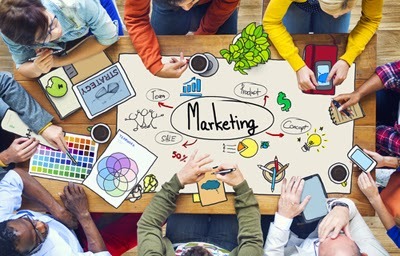 For organizations with in-house marketing staff, a successful relationship with an outside marketing agency allows internal staff the freedom to work on strategic and high profile projects while agency staff offers support on other tasks and even provides second opinions. Companies with no internal staff can benefit from an agency’s services on an ad hoc basis or with a more structured commitment for continuity. Every advertising agency relationship is custom built on client need, so maintain an open dialogue that conforms to your firm’s individual requirements. Small businesses often focus their resources on meeting customer needs, which is a reasonable endeavor. But how much of a business owner’s time and energy considers a necessary and worthwhile activity like marketing? Not enough, according to some accounts. For example, one survey found that 25% of small business survey respondents did not consider marketing in their annual budgets. Another recent study found that 53% of small business owners interviewed admitted that they limited their marketing because they struggled in selecting the right marketing tools. 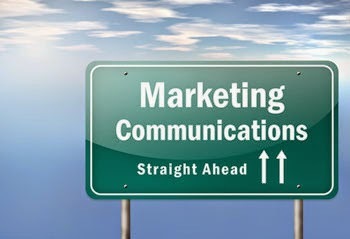 There are a few “must-have” marketing tools and practices in a small business owner’s toolbox. A short list follows below. Logo. Create a visual representation of your business and make sure it can translate well in both print and digital media. Use it consistently to represent your business as a visual symbol and make sure it’s readily identifiable, even if it’s an icon. Social media presence. Many small businesses suggest that their products or services are not “social media worthy”. But the beauty of social media is that it’s an opportunity to engage customers, prospects or interested visitors in a blog, a Facebook post or a tweet that starts a conversation with no sales pressure. Think of it as a cocktail party with a creative edge. Sure, there’s some soft selling going on, but it’s in this environment that people often decide whether or not to engage with your company. Costco has the right idea: encourage them to sample before they commit. (Don’t forget to share company initiatives and good deeds on social media outlets. Web listings. Make sure you complete listings for directories and data aggregators so that your company data and website URL appear in directories, maps and other listings. Alternately, you can hire a firm that will ensure your listings are current and well represented. Editorial opportunities. Offer content-rich articles and ideas to local media by calling or e-mailing editors (for print) or assignment editors (for radio or television). Media outlets are often open to ideas that fill space or time and offer good information for their target audience. Be persistent, because chances are good that they will follow up with you after your repeated attempts. Consider search engine marketing. If you’re competing against larger competitors or those with deeper pockets, consider investing in search engine marketing. When prospects search for products or services, your firm’s website can be listed among the first seen. Stay in touch. While you search out new prospects, it’s crucial to use marketing to maintain a dialogue with those who do business with you already or have in the past. Use e-mail or regular mail to send them special opportunities, invite them to events, or share details that will keep them engaged. But take care not to overwhelm them with contacts that are too frequent or offer meaningless content. Offer customer referral programs. Make sure your customers are incentivized to recommend your products or services to others. Reward referral sources with a gift card or a discount on future purchases through your business. Ask for customer feedback. You may think you’re doing everything right, but perhaps your customers see things differently. Ask for feedback so that you can improve upon your business practices, services or products. And since customers are more likely to be honest through anonymity, create a form that can be completed and mailed back to your business, or even from your website. Measure your marketing results. The easiest – but not always the most accurate - way to measure results is to ask your customers where they heard about your business. You can also use a dedicated phone number to track results for targeted marketing activities, like direct mail, a website promotion, social media, search engine marketing, and so on. Small businesses can also install Google Analytics on their websites to track visitor activity. Partnering with other businesses (like data listing and search engine marketing providers) delivers reports that can show you specific details on website visitors. Many of these ideas are low-cost options for marketing a small business, but it’s important to establish a budget and adhere to it. Plan ahead, since you may not be able to accomplish all of the ideas in a single year.